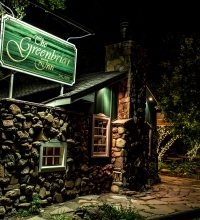 Opened in 1967, The Greenbriar Inn is an elegant restaurant, tavern and private event space located in the north Boulder countryside and nestled at the foot of the Rocky Mountains. The surrounding 20 acres features two ponds, striking woodland and thriving vegetable, fruit, and flower gardens. The cuisine focuses on seasonal, American classics and is complemented by a 900-label award-winning wine cellar. Celebrate on Easter Sunday, April 21st, with our award-winning buffet brunch! Find out why we were voted 2019 The Knot Best of Weddings by our brides and grooms! Call us today for a tour. Celebrate Mom with our amazing brunch on Sunday, May 12th! Since 1967, thousands of couples have held their wedding at The Greenbriar. 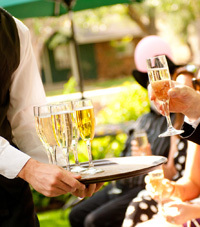 Come and see why we are known as one of the most romantic wedding spots in Colorado. We have been committed to the environment long before it was popular. 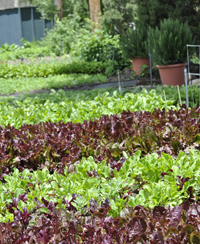 Our 20 acres are home to two pesticide free and 100% natural gardens, our ponds reflect a carefully honed ecosystem, and we have an extensive composting and recycling program. Owners Phil and Emma Goddard have assembled a dynamic team of professionals who are passionate about food and wine. At The Greenbriar, hospitality rules the day. This means, our sense of accomplishment can only be measured by your happiness. The Greenbriar Inn has been a Boulder County landmark for 50 years. Find out the rich and detailed story behind the oldest restaurant in the area.